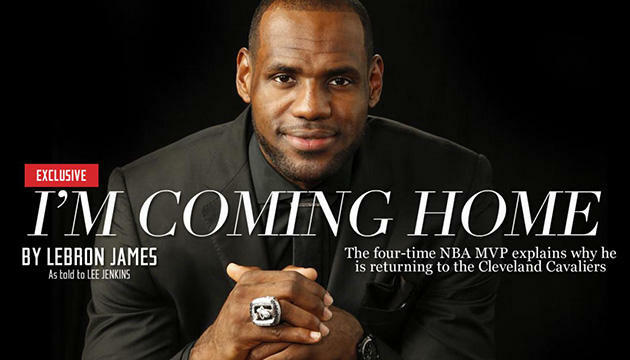 LeBron James, arguably the most talented player on the court today, maybe even any day, announced his return July 11 to the Cleveland Cavaliers. This is a good move, for more reasons than one. The way he did it this time is pure class. Let him tell the story (as told to Lee Jenkins at Sports Illustrated). It is well-worth reading. I’m not promising a championship. I know how hard that is to deliver. We’re not ready right now. No way. Of course, I want to win next year, but I’m realistic. It will be a long process, much longer than it was in 2010. My patience will get tested. I know that. I’m going into a situation with a young team and a new coach. I will be the old head. But I get a thrill out of bringing a group together and helping them reach a place they didn’t know they could go. I see myself as a mentor now and I’m excited to lead some of these talented young guys. I think I can help Kyrie Irving become one of the best point guards in our league. I think I can help elevate Tristan Thompson and Dion Walters. And I can’t wait to reunite with Anderson Varejao, one of my favorite teammates. 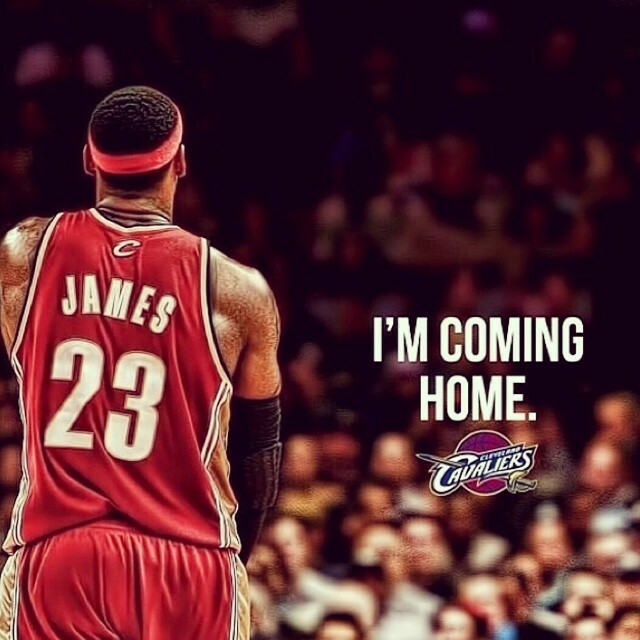 Best of luck, LeBron. It will definitely be a challenge, but you are the man for the job. Watching an NBA Super Star score over 50 points in a single game is nothing less than exhilarating. One can only imagine the adrenaline that flows through the player’s body as he keeps throwing up the ball and it keeps going through the hoop. In order to fill some of the void made possibe by the NBA Lockout 2011, below are complete scoring highlights of highest ever performances recorded by some of Main Street One’s favorite hoopsters: Kobe Bryant, LeBron James, Michael Jordan, and Shaquille O’Neal. Enjoy a few minutes of basketball greatness. That is what the sport is all about. Without a doubt, Kobe Bryant and LeBron James are two of the greatest basketball players to ever play the sport. This is not a discussion of who is better, nor is it a slight to any other major NBA All Stars, past or present. It is simply an observation of two athletes who can, and have done, virtually anything with that ole round ball. It is always a pleasure to watch these two take the floor.